Stuart Hughes sets the bar high when it comes to customizing some of today’s hottest gadget. 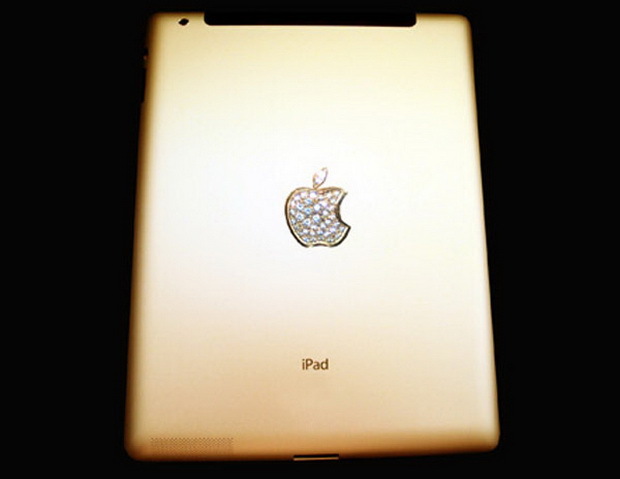 Hughes is back with his latest piece, an iPad 2 encrusted with 16.5 cts of ˜I’F’ flawless diamonds, 53 individually set sparkling gems, a solid 24ct Apple logo and the rear section produced again in 24ct gold. The main front frame was formed using the world’s oldest rock, Ammolite, which is 75 million years old. Finally, to top it all off, sections of a 65 million year old T-Rex dinosaur’s thigh bone has been splintered and then shaved into the Ammolite and finished off with a single cut 8.5ct flawless diamond inlaid in platinum and surrounded by 12 outer flawless diamonds. 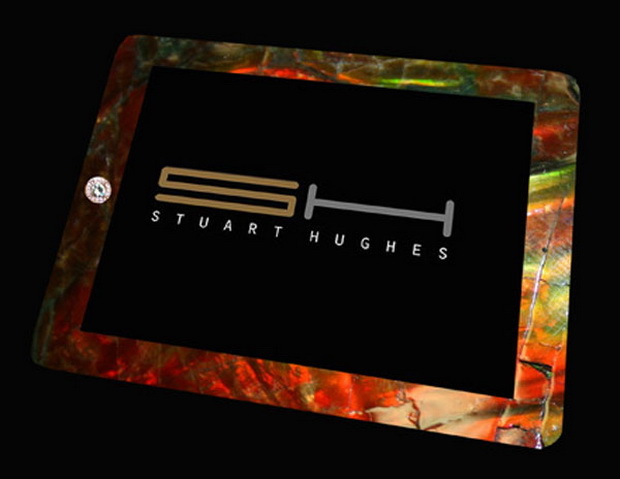 The Stuart Hughes Gold iPad 2 History Edition will be extremely limited with only 2 units being made. Price is set at €5M (approx. $8.1M). Want one?